A rhizomatous plant forming dense clumos, flowers dark purple with inflated bracts below. Usually flowers are in pairs (hence the speces name) but do not bloom together. only i can say SUPER!!!! Beautiful presentation of this flora. Like composition as well as its depth. 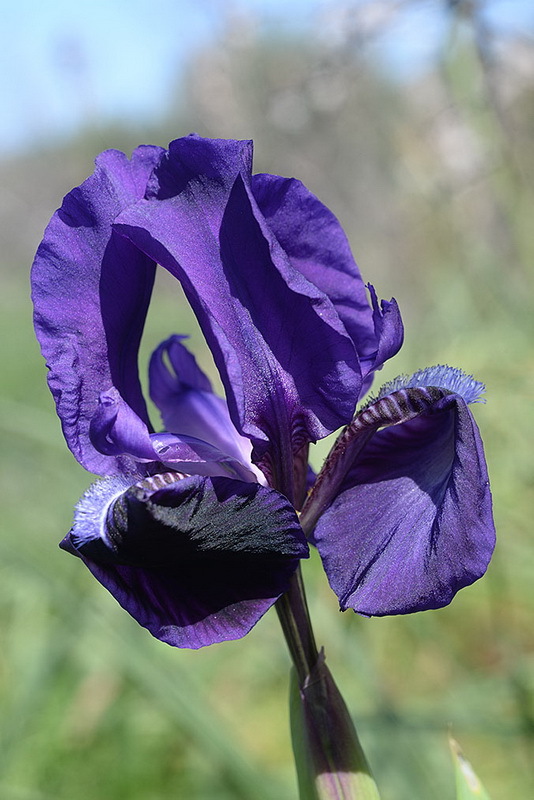 what a beautiful Iris species and its great close-up. Thanks for sharing, Ori. Very good color, sharpness and textures in this flower. Congratulation and thank you for sharing it. Saludos.